Late Baroque, Rococo and the early Enlightenment were the formative spirits of the age during the reign of Maria Theresa, in which the cultural life of the court burgeoned into extraordinary bloom. Here the arts found a broad horizon of activity: ceremonies, feasts and courtly prestige and divertissements. Porcelain was then a new material and took on a premedium for all objects which based their essential effect on material brilliance. And above all, the malleability of the material in developing new forms and types was predestined to express the gracefull and delicate style of Rococo. 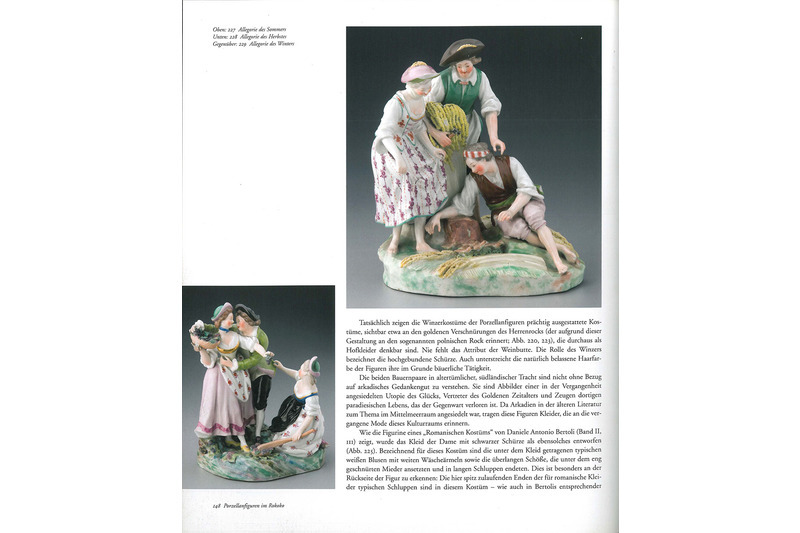 Its specific surface effect, animated much more by painterly aspects than sculptural values, made porcelain the suitable medium for converting contemporary pictorial source works into three dimensions. 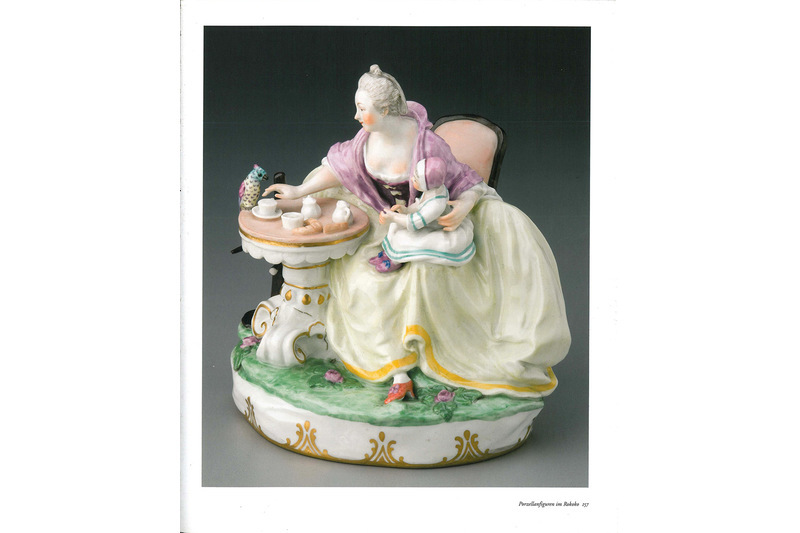 Contemporary painting, copper engraving and figurines became the foil of a rapidly expanding production of porcelain figures, which reached its quantitative peak around 1760. Proving particularly successful were figures and groups reflecting the themes and circumstances of courtly life. 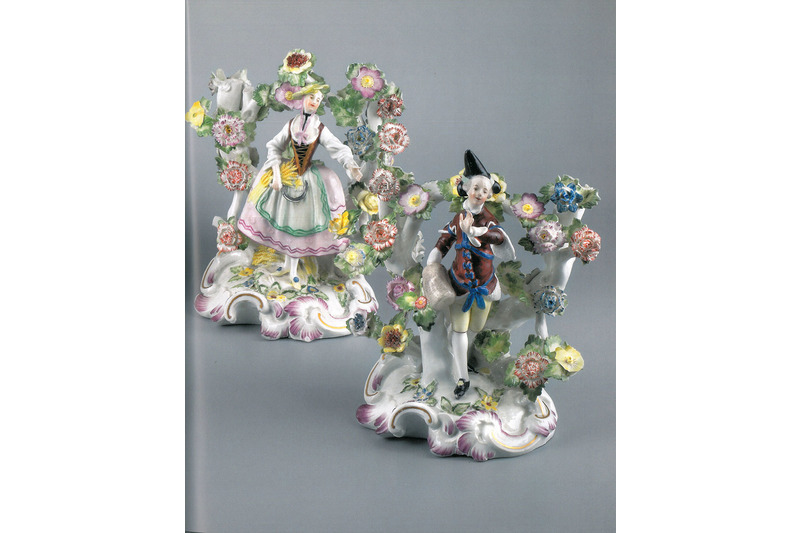 The chosen period of 1740 to 1780 was the heyday of courtly banquets and ceremonial, providing rich sources of inspiration for the porcelain figures. 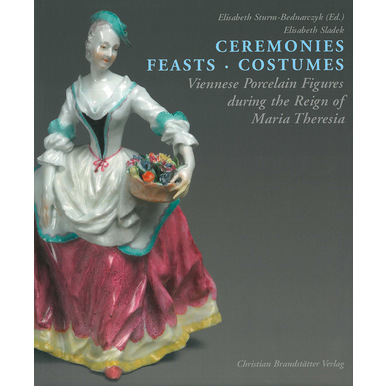 Ceremonies, feasts and costumes in the time of Maria Theresa became pictorial motifs. 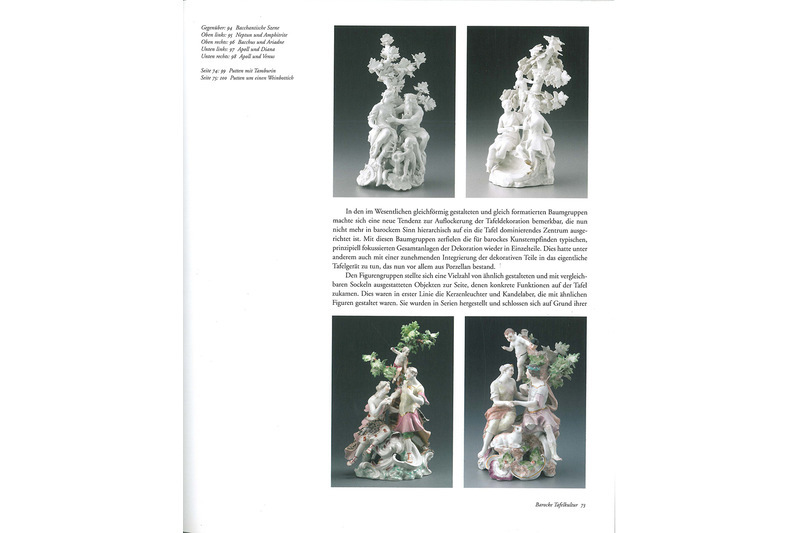 They provided the Viennese porcelain figures of this epoch with their historical and aesthetic foundations. 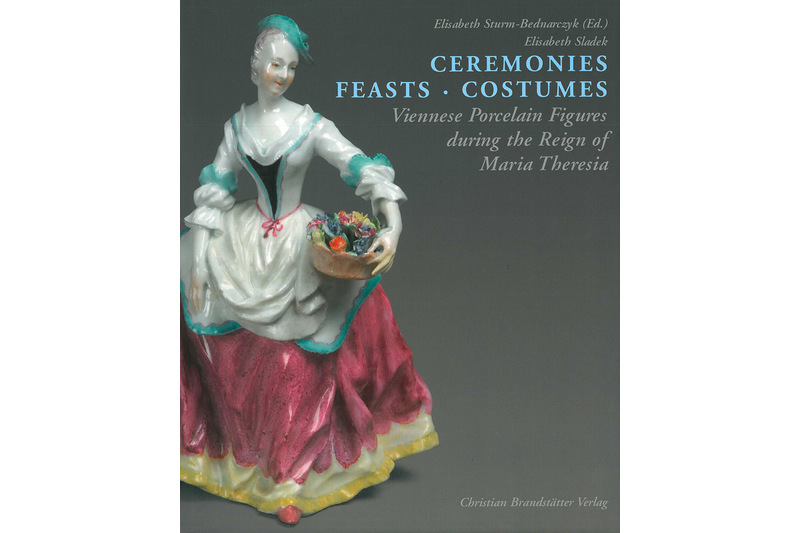 Edited by Elisabeth Sturm-Bednarczyk. Texts by Elisabeth Sladek.